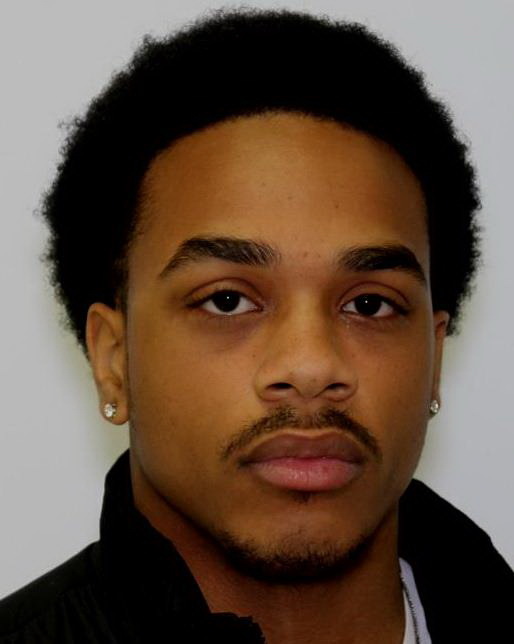 The St. Mary’s County Sheriff’s Office Criminal Investigations Division, (CID), arrested and charged an individual in two recent robberies that had occurred in the Lexington Park area. 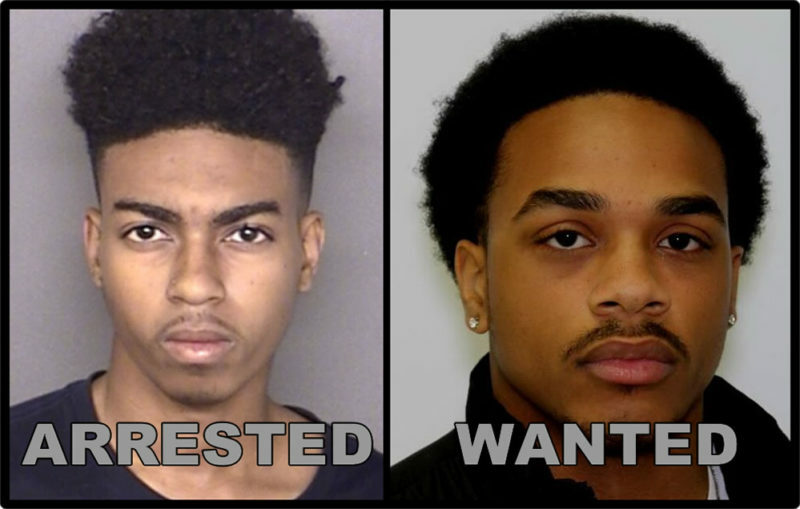 On October 31, 2018, deputies from the St. Mary’s County Sheriff’s Office made contact with the 17-year-old male victim in the Lexington Park area for the reported robbery. Investigation determined the victim arranged to sell a pair of Air Jordan shoes, using Snapchat to a user with the screen name of Benny Beanz. The buyer was an acquaintance of the seller, who identified as Benjamin Jamal Washington, 18 of Lexington Park. The victim and Washington were in Lancaster Park, located in the 21500 block of Willows Road, in Lexington Park, when Washington and another individual later identified as, Micah Robert Lee, 19 of Lexington Park, and a juvenile began to physically assault the victim. During the assault the victim was sprayed in the face with pepper spray. 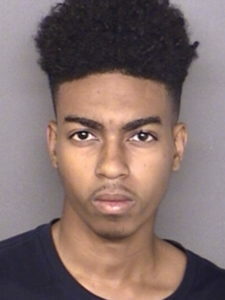 All three subjects then removed a iPhone, car keys, credit cards, and a wallet from the victim’s pockets, and also stole the shoes the victim was selling. The total value of the stolen items was approximately $1,370. During the course of the investigation, Washington was also developed as a suspect in a similar robbery which occurred on October 3, 2018, outside the Hampton Inn, located in the 22200 block of Three Notch Road in Lexington Park. In this robbery, a 16-year-old male victim also arranged using Snapchat to meet a user with the screen name of Benny Beanz to sell shoes. When the victim arrived at the hotel, Washington advised the victim it was a robbery, and sprayed the victim in the face with pepper spray. Washington then fled the area with the shoes. On November 1, 2018, Washington was located by patrol units in the California, area, and taken into custody. During the investigation Lee was developed as a suspect, and a search and seizure warrant was executed at another Lexington Park hotel where Washington and Lee were residing. Evidence to include a can of pepper spray was recovered at the hotel, linking Washington and Lee to the robberies. At this time, there is an active arrest warrant for Micah Robert Lee, 19 of Lexington Park, for the charges of Robbery, Theft, and Assault Second Degree. The investigation is ongoing and more arrests are possible, updates will be provided as they become available. Anyone with information on the whereabouts of Micah Lee, or anyone with additional information on these robberies is asked to contact Detective Trevor Teague at (301) 475-4200 extension *8128, or by email at Trevor.Teague@stmarysmd.com. This entry was posted on November 5, 2018 at 6:15 pm and is filed under All News, County, Crime Solvers, Law Enforcement, St. Mary's News, St. Mary’s County Crime Solvers, Top News, z 600X120 Top Ad Bottom, z Police Ad Top. You can follow any responses to this entry through the RSS 2.0 feed. Living in a hotel together? Are they lovers? Knowing these youngsters today, I would not doubt it. Underwear hanging out the back of their pants ready to become someone’s property in the joint. How does that keep the stereotype going? ummm….There are picture, from “the park – the hood” and it is what it is. Guess they didn’t want to work for the shoes that other people have to work for to get. Bet you their parents are real proud of them! It’s warm in the jail. We all know it’s you. Build a fence around the Park with no gate in it. The Park and Great Mills isn’t worth the five million to build a police substation to maintain law and order! WTF is that on his head? A stove pipe? Thieves, thugs, and proven POS. Flush it and it will stop stinkin’. And the cycle repeats again. Over and over and over. Young men make very poor, very short sighted decisions, and will now be criminals for life. Even if they change their lives around and are no longer criminals, this will not go away. Who wants to hire a petty thief? Nobody. So then we will hear about how the man is holding them down, when its their criminal record holding them down. And since they cant get a job, they need to turn to crime, and the cycle begins again. STOP MAKING DUMB DECISIONS. You’re welcome. Tell us again. We didn’t quite get it the first two times. All this BS over a pair of shoes? MIND BLOWN over the stupidity. If Armed Robbery is BS what does it take for something to be significant? Just Asking: Perhaps you’re a bit slow in the uptake…so let me break it down into 3rd grader language for you. I am mind blown these two low lifes are causing all these problems in the community over pairs of shoes…I mean really…armed robbery so they can get a pair of shoes? Assault over a pair of shoes? WTF is wrong these these two? Are shoes worth it? MIND IS BLOWN over the stupidity. It’s ghetto as F.
I think he means the whole them pepper spraying people and then robbing them but I could be wrong. Bet if they robbed you, you’d feel different. Idiot. Went to school with both of them they were both bums always have been. The white folk got the noose ready again. I don’t think “above” means what you think it means. Congratulations on becoming white. Idiot.